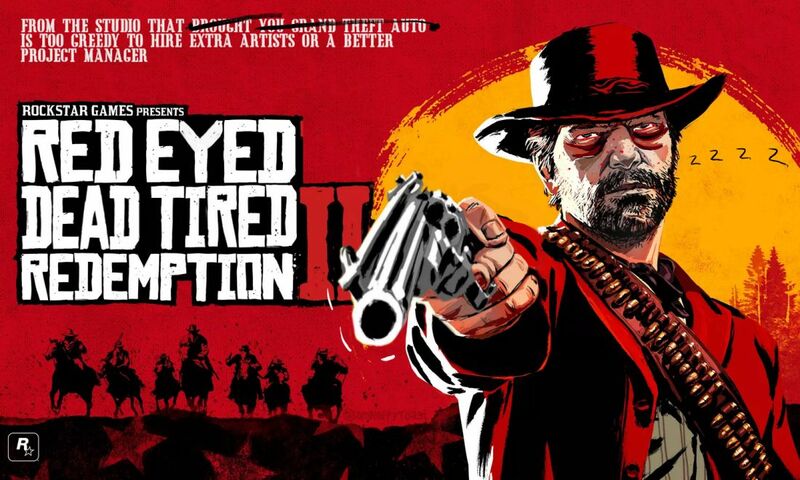 Updated: Video game industry and tech insiders are calling out Rockstar Games after co-founder Dan Houser said in an interview that the team behind “Red Dead Redemption 2” sometimes worked 100-hour weeks. But in a statement sent to Variety Monday afternoon, Houser wrote that he was speaking about himself and a team of three others and that the company would never expect anyone else to work that way. The response to the story Monday morning from those in the game industry ranges from outrage that a studio as powerful and profitable as Rockstar is overworking its developers, to those using the comment to note that the issue of “crunch” is a major problem in the multi-billion-dollar game industry. Mike Bithell, developer of “Thomas Was Alone,” and “Subsurface Circular,” spent several Tweets Monday morning noting some of the bad work practices in the video game industry. “If I ever boast about my team having to do overtime because I can’t manage them properly, and actually use that as a selling point, please screencap this tweet and send it to me hundreds of times until I depart this godforsaken website in shame,” he also tweeted. Peter Stewart, a writer and narrative designer at Creative Assembly, pointed out that “crunch,” the practice of working long, often-unpaid hours of overtime to wrap up a game, is often glamorized and shouldn’t be. Other industry veterans like “God of War” developer Cory Barlog and voice actor Troy Baker simply noted stories about the quote, prompting discussion on the topic. The reaction of some potential players seem mostly negative on Twitter as well, with some calling for a boycott of the game and others wondering why Rockstar or parent company Take-Two didn’t simply hire more employees to cut down on the need for so much overtime. Some of that reaction came in the form of satirical reworks of the game’s main art, like the image posted on Twitter by I Am Happy Toast. “Red Dead Redemption 2” releases on Xbox One and PlayStation 4 on Oct. 26. Rockstar Games did not respond to Variety‘s request for comment.